Showing results for tags 'full auto'. WTS lightly used Aero precision M16 lower receiver converted in my shop. This is extra and I do not need it. It comes with all the internal parts and has full auto guts in it right now, but can be swapped for burst parts if that is your bag. 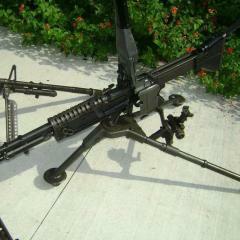 As this is a post '86 machine gun, you will need both an FFL/SOT or government purchase order to buy this. Please do not inquire if you can't complete the transaction. Price is $320 shipped. Also, if you need more of these, I can make them as needed. E-mail or call (253)632-5643 if you need more details. This is a four-position, full-auto trigger parts assembly for an M16 or AR15 receiver machined to an M16 specs. You have selector positions of safe, semi, 3-shot burst and full auto. Selector is designed to clear selector stops on a typical M16 rifle receiver. Selector can be turned 360 degrees clockwise or counterclockwise to obtain desired firing mode. Red selector mode plate fits under the selector and is held in place with the standard M16 selector stops. On a receiver with no selector stops, the plate can be attached with a couple of drops of silicone adhesive. This type adhesive can be easily removed from the receiver. This is not a full-auto conversion kit! This parts kit is intended to be placed into a receiver that is already machined to full-auto specs. All BATF rules apply. We ship to the Continental US only. Our price is $395 and we will pay shipping - UPS with adult signature required. Since these parts are intended to be used in a registered full-auto M16 or AR15 that has been machined internally to duplicate an M16, we need a copy of your FFL or a copy of your ATF form showing that you have such a rifle in your legal possession. These parts do not function with a drop-in auto sear. Here's something you don't see often. Sure there's plenty of used surplus but I have for sale 1 NEW NEVER USED genuine IMI 9mm full auto UZI bolt. Still has a tiny bit of the Israeli acceptance stamp left on the front. Comes complete with new extractor and extractor pin. I've seen a few of these on gunbroker and they always go for over $100 plus shipping and that's usually for a stripped bolt. (no extractor or pin) You can get this one for $85.00 shipped CONUS. I accept PayPal (no fee for "friends and family" payment) or CC add 3% DM me for payment info.Reply to listing with any questions. WTS: Colt AR15 Bolt Carrier Groups - Factory New ($130)!! WTS: Full Size UZI w/ B&G Machine 9mm Bolt - TRANSFERABLE! This Uzi comes with a slotted bolt by B&G Machine. It operates from an open bolt position, and it ran like a champ when we demo'd it! Super reliable, flawless operation. EXCELLENT condition overall and fully TRANSFERABLE on a Form 4 to your trust OR to your local dealer! $12850 + $100 Shipping --- PRICE REDUCED TO $10500 FOR A QUICK SALE! Shipping is via UPS and includes Professional Packing, Insurance, and requires an Adult Signature - everything you would expect when purchasing a high end piece! Buyer pays stamps. I accept payment via personal check, cashier’s check, money order, or wire transfer. I will begin NFA paperwork once full payment has been received and keep you posted on the process until it reaches your Class 3 dealer. This is a part of my personal collection. Currently downsizing to fund the purchase of a new house. Please keep an eye out for my other listings! You can contact me on here with any questions, via my personal email (oldsaltye@yahoo.com), or you can call my cell at (239) 825-53four8 - please leave a voicemail if I don't answer and I will call you back ASAP. If you have any concerns, references are available upon request. 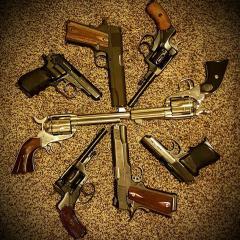 I am very reputable in both the firearms and NFA worlds. I am an FFL holder and I own a business based out of Naples, FL. We operate out of an 8,000 square foot building and specialize in buying and selling guns along with ammo and other accessories. We often sell at gun shows in the Fort Myers, Tampa, and Miami areas. This has been my profession for many years. If there is anything that you are looking for, or if you have any questions, please do not hesitate to ask! For the quickest response, you can reach my assistant by phone Monday through Friday between 8am and 4:30pm EST at (239) 434-0841. For sale is my Mac 10 by Ingram in Powder Springs GA. I am the second owner and have had it for several years. The original owner shot a few hundred rounds through it I have never shot it I bought it as an investment. Along with the sale price is all the accessories I have for it including 21 mags, 2 extra spare uppers (one complete 9mm upper and one upper only), 2 Colbray loaders, 2 slings, 11 buffers, a briefcase carry box, and the original cardboard box, and a registered homemade (form 1) Sonics suppressor. There will be 2 tax stamps required. The Mac 10 is on a form 4 the suppressor is on a form 1 both in Florida. Buyer pays all fees and shipping. Asking $6800.00 obo for all e-mail me at jlaskowsky73@gmail.com or (813)545-3257 for pictures. Colt AR-15 Machine Gun. Model SP1. Caliber .223. Four position selector (Safe, Semi, Burst, Full Auto) Original marking of Safe and Fire are the only marked positions. Full auto conversion completed by RPB Inc. In Atlanta, Georgia. Very Clean. Collapsable stock. Has original furniture to keep value and authenticity. It is the Buyers responsibility to know their state laws and ensure they are legally allowed to own this firearm. $22,500/OBO, serious and reasonable offers/inquirers only please. Thanks and straight shooting. I have for sale 2 new receiver flats, one mag well/ trigger guard/ feed ramp, one rear sight and front receiver tab (from NOS "demilled" SWD sub gun). One flat is all ready for a sub build and the other is blank. (ALL NFA RULES APPLY) This is easily a $180.00 value and the receiver flats are very hard to find these days. Good ones like these 4130 steel flats that are spec thickness, are at least $60 ea when you can. Example: http://www.cobray.com/acc-32-cobray-frame-flat-details.aspx Example: http://www.ftfindustries.com/category/MCWP.html $109.00 SHIPPED Conus. I accept Postal MO, PayPal and CC. Add 3% for PayPal and CC. If you are paying via PayPal, give me your registered PayPal email and let me invoice you.